Limited Edition HD9 Comp Lock is Here! Home » Featured, Homepage Left, New Products, News » Limited Edition HD9 Comp Lock is Here! 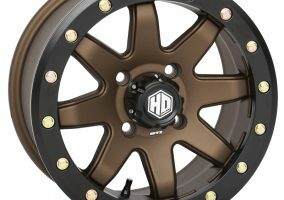 STI brings two new HD9 Comp Lock Limited wheels to market. The new Chrome finish and Milled & Matte Black finish both add a flash of custom appeal to the high-performance character of these beadlocks. The HD9 Chrome wheel gets a polished-and-triple-plated finish making it the closest thing to a mirror you’ll see off-road. The Milled & Matte Black HD9 is inspired by customized wheel trends, giving a look with individual style. 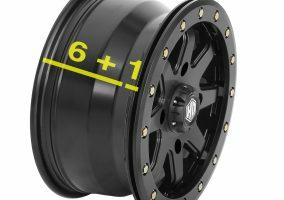 These new Limited wheels come in 14×7 and 15×7 sizes, with all the strength features of an HD9 – 10mm thick beadlock ring secured by 5/16-inch grade-8 hardware. Colorful milled beadlock rings – Red, Blue, as well as Black – are available individually along with the chrome rings, increasing an owner’s custom-look creativity. 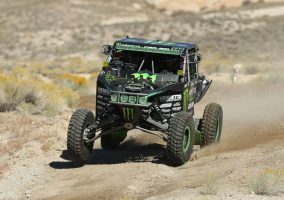 Check the HD9 Limited product page for details.